Bullying is a problem that affects everyone. To end the cycle of bullying, children need to be taught empathy, kindness, tolerance and ethics. In the time it takes to have lunch, employees can create an Anti-bullying kit – an excellent resource for children and their parents to deal with this critical issue. An anti-bullying kit is comprised of an age-appropriate book with supplemental materials. Kits are distributed to United Way supported school-based programs that teach the importance of being an “upstander” against bullying. 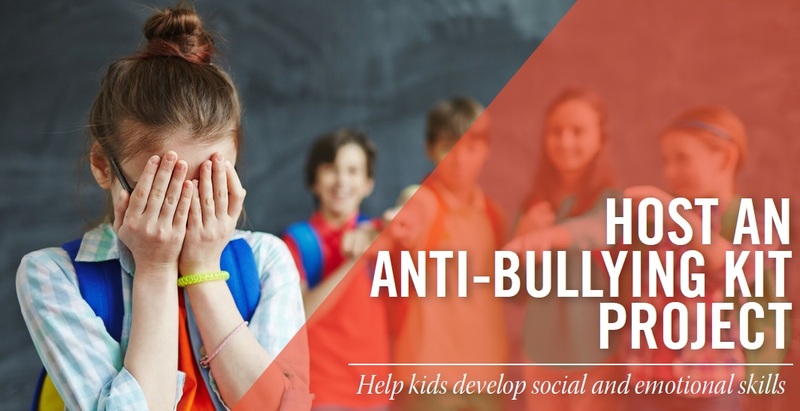 Anti-bullying kits give teachers, child care workers and parents ready-to-use tools to reinforce the important lessons around tolerance and understanding. Kit creation events can be set up anytime, anywhere. Help children get the tools to end bullying!